During Vietnam, B-52 crews flying from Thailand and Japan dropped the ordnance as part of Arc Light missions and Operation Linebacker II, and nearly 20 years later, M117s rained down on Saddam Hussein’s army. 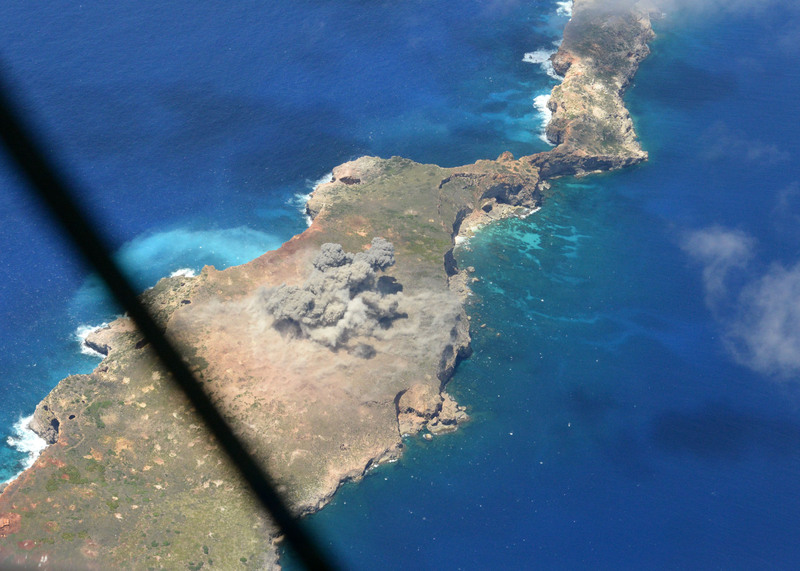 On Friday, Pacific Air Forces said goodbye to its inventory of the Vietnam Era ordnance when B-52s dropped the last M117s from PACAF’s stockpile on an uninhabited island off Guam. 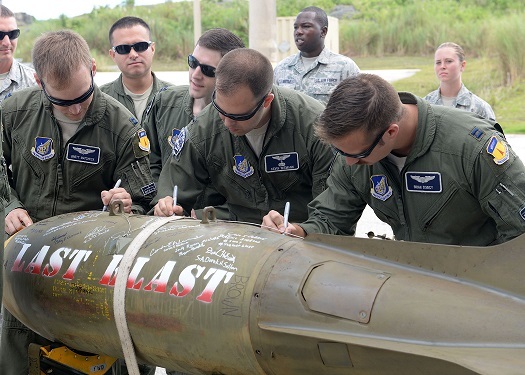 Airmen from the 20th Expeditionary Bomb Squadron, of Barksdale Air Force Base, Louisiana, and the 36th Munitions Squadron, of Anderson Air Force Base Guam, participated in Friday’s training mission, according to a PACAF news release. B-52 crews deployed to Guam have been using M117s on training missions for years, said Maj. Phil Ventura, a spokesman for the 2nd Bomb Wing at Barksdale. At one time, Anderson had one of the largest stockpiles of M117 bombs in the Air Force, with an estimated inventory of 90,000 M117 bombs in 1993. Bomber crews rotating through Guam as part of the U.S. Pacific Command’s Continuous Bomber Presence will now use newer bombs during their training missions, the news release says. Friday also marked the 98th birthday of the 20th Expeditionary Bomb Squadron, which was founded at Kelly Field, Texas, in 1917. “I think it’s awesome to be able to drop live weapons on the range out here especially on our birthday,” 1st Lt. Bryant Curdy, 20th EBS weapons system officer, said in the news release. “So many B-52 crews have come through Guam and dropped M117s starting in Vietnam, and actually being able to be part of the crew who gets to drop the last weapon out here is not only great training but it’s a part of a cool legacy that we get to share.